Two local teams are looking to make an impact when March Madness heats up on Thursday. 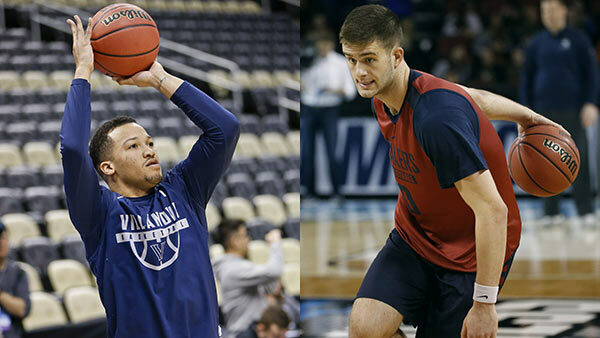 Number one seeded Villanova is ready to take on Number 16 seed Radford at 6:50 p.m. in Pittsburgh. The Wildcats are hoping to make a run like they did two years ago, winning the National Championship. The Wildcats dominated in the Big East again this season and won the conference tournament for the second straight season. Jay Wright is the winningest coach in Villanova history. He set the record in the Big East Tournament and is 416-165 with the 2009 Final Four and 2016 national championship on his resume. A number one seed has never lost an opening round game. Some are calling the Penn Quakers the strongest number-16 seed in the history of the tournament. They are taking on the number one seeded Kansas at 2 p.m. in Wichita. Penn, which won the Ivy League Tournament, has not won an NCAA tourney game since March 17, 1994, when the Quakers beat former Big 12 school Nebraska. Penn coach Steve Donohue was an assistant on Quakers teams that went 0-3 against the Jayhawks in the 1990s, including a home-and-home series at The Palestra and Allen Fieldhouse. Donohue also coached Cornell against Kansas at the Phog in January 2010, a game that went down to the wire. The Jayhawks won their 14th consecutive Big 12 title, then validated it by winning the league tournament to secure the top seed and a favorable geographic start. Kansas is 4-0 in NCAA Tournament games played a couple hours' drive south of Lawrence, but the last one was in 1981.